Identify to consider and which questions to ask prior to specifying a sports floor. Define MFMA PUR Standards and how they determine a competitive sports floor. 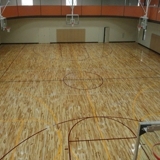 Discuss the types of sub floor configurations for sports floors. Evaluate the different sport floor choices available including both maple and synthetic options.